Green Fire Press, 9781732841406, 248pp. Bioneers co-founder Nina Simons offers inspiration for anyone who aspires to grow into their own unique form of leadership with resilience and joy. Informed by her extensive experience with multicultural women's leadership development, Simons replaces the old patriarchal leadership paradigm with a more feminine-inflected style that illustrates the interconnected nature of the issues we face today. 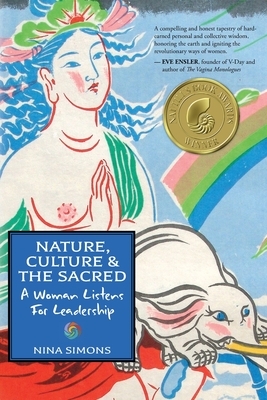 Sharing moving stories of women around the world joining together to reconnect people, nature and the land--both practically and spiritually--Nature, Culture and the Sacred is necessary reading for anyone who wants to learn from and be inspired by women who are leading the way towards transformational change by cultivating vibrant movements for social and environmental justice.